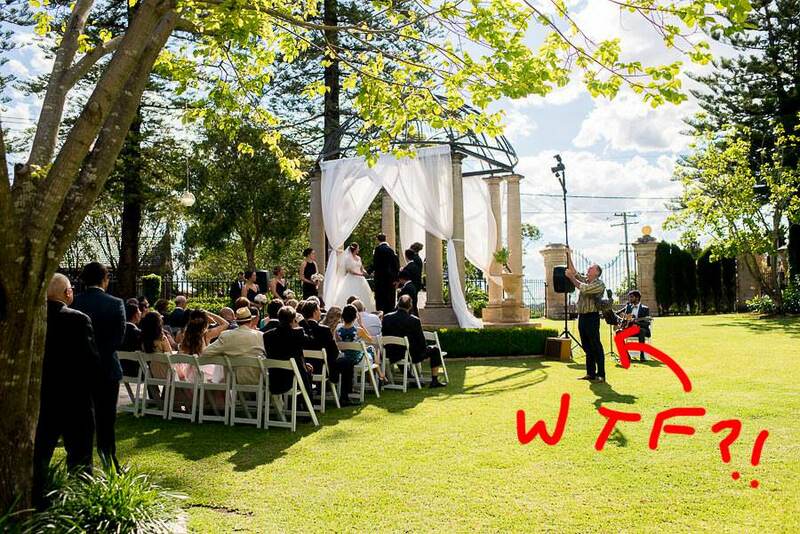 An Unplugged Wedding refers to a wedding where the use of all mobile phones (and sometimes even cameras) is forbidden. The Unplugged Wedding is slowly gaining popularity, but is it for you? There are 3 reasons to have an unplugged wedding. First, the wedding couple want their guests to be absolutely present. They want them to witness their special day through their eyes, not through a screen. As much as find this photo pretty cool, it’s a shame that this guest is more concerned with getting a photo than in what’s happening in front of him. Secondly, preventing guests from using their phones means that you can control what is put on social media. Perhaps you don’t want iPhone images of your first kiss to be on Instagram before you’ve even stepped foot off the aisle. 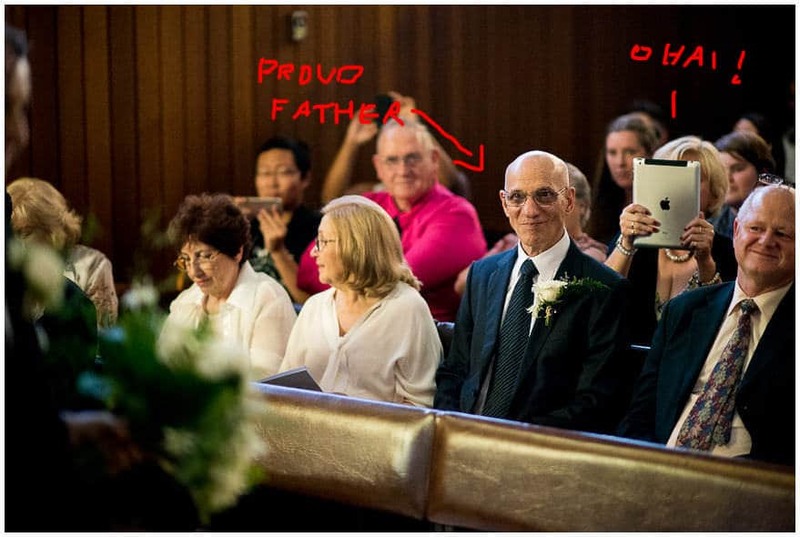 iPads are becoming more and more common at weddings, particularly with the older generation! 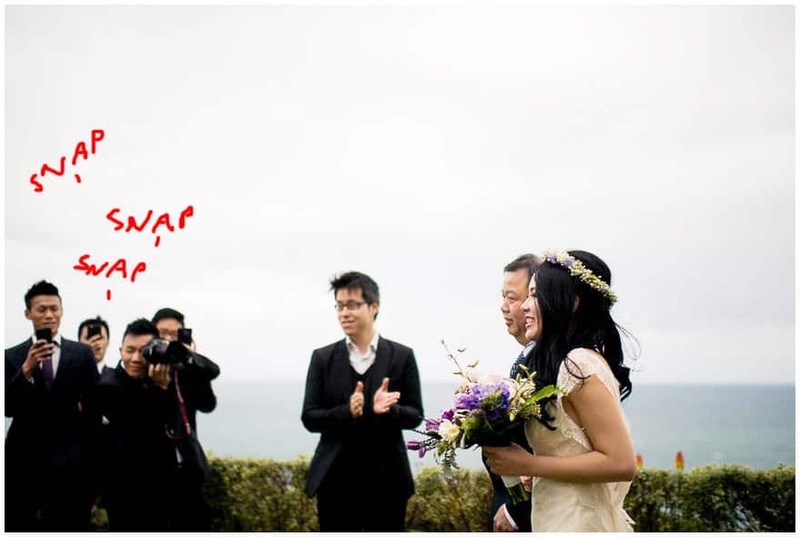 Having 20 backup wedding photographers is always nice, but as long as they don’t ruin our shot! Having said this, weddings that are ‘plugged’ (?!) are still by far the norm and I deal with it the best I can. As for your guests bringing their own fancy dSLR cameras, well at least they’ll be getting other angles…! Sometimes I can’t even compete with wedding guests who choose to bring their own cameras! 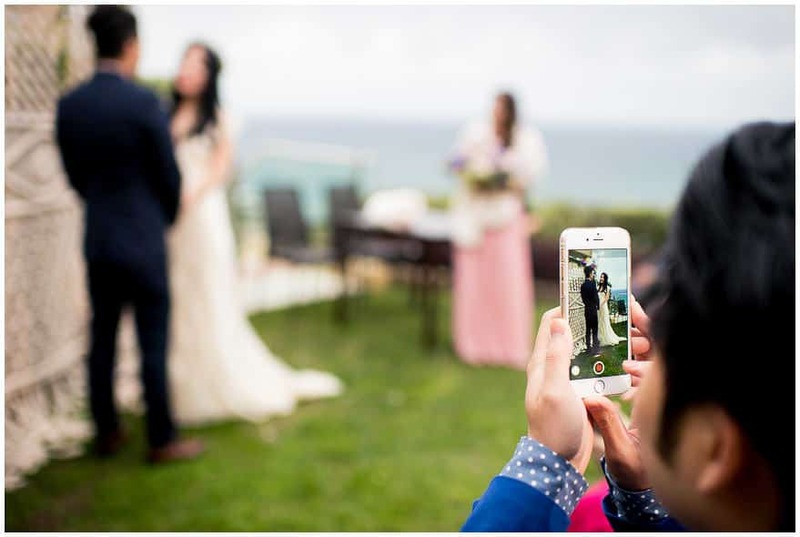 Allowing your guests to take photos during the ceremony can be like having 100 extra photographers. On the other hand, you may decide that you’d prefer to have 100 guests, and only 1 photographer. In addition to the celebrant reminding guests at the start of the ceremony that the service will be an unplugged wedding, it’s common to have an unplugged wedding sign near the front of the altar too. Here are some examples of unplugged wedding signs. You can also copy the text below which I have seen on unplugged wedding sign designs at recent ceremonies I have covered. Welcome to out Unplugged Wedding Ceremony! We’d love it if you were fully present with us during our ceremony… so please turn off all mobile phones and cameras. We promise to share all the beautiful photos taken today by our wedding photographer with you! Please keep our ceremony camera-free! Please keep your phones and cameras in your pockets until after the first dance. Thank you for respecting our Unplugged Wedding! Welcome to our Unplugged Wedding Ceremony! We invite you to be fully present. Please turn off your devices. This is our ‘unplugged wedding sign’ asking you to keep your cameras and cell phones in your pockets until after the ceremony!